Bluefire Consulting are recruiting for an experienced Depot Administrator to work in a busy site office in Tamworth. 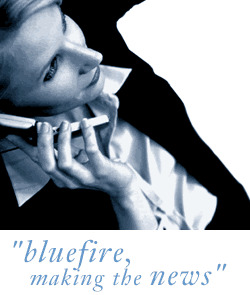 Bluefire Consulting are recruiting for an experienced Depot Administrator to work in a busy site office in Tamworth. The Depot Administrator is responsible for a wide range of administration duties including producing supplier reports, cash handling, investigating purchase order, invoice and payment queries and actioning any price change requirements. The administrator will be the first point of contact for customer queries, responsible for updating all entries onto computer and organising collection or delivery of materials. This position with involve stock control duties and ensuring the stock report is maintaining on a daily basis for the depot. The Administrator position will require excellent administrative skills, attention to detail and knowledge of Microsoft Office. Previous experience within an administration role is essential for this role. A background of working in a depot or logistics environment is preferred but not essential.